For my final submission for FEMbruary, I’ve been tackling Bad Squiddo Games’ WWII female snipers. 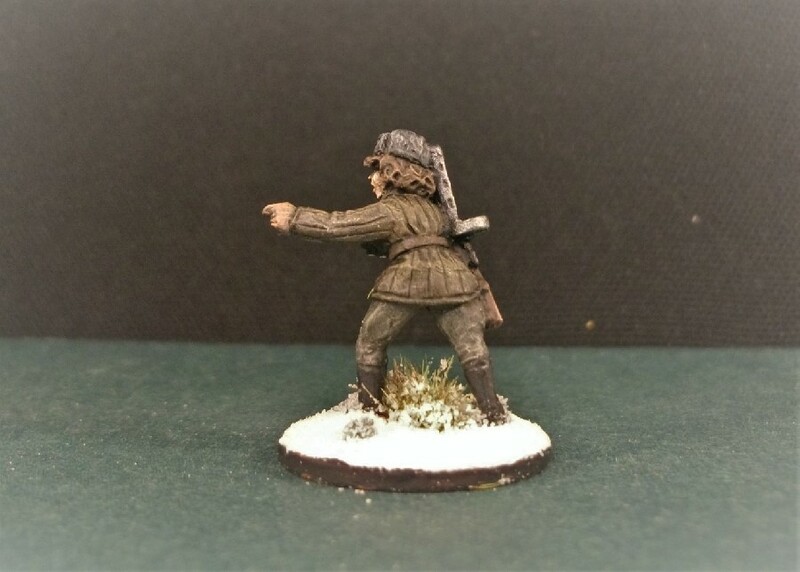 Bad Squiddo do an amazing range of soviet soldier women including all-women infantry squads with rifles or SMGs, scouts, medics, tank riders, heavy machine gun teams, mortar teams and even flame throwers. 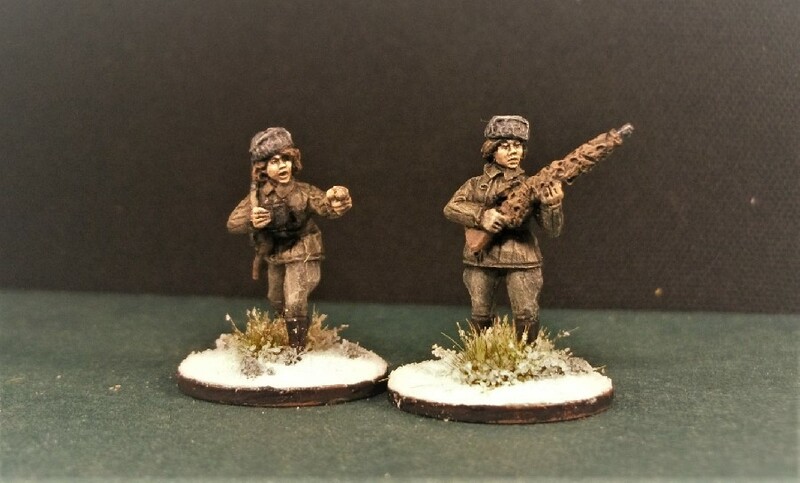 My second FEMbruary 2019 submission – a female soviet sniper squad! Bad Squiddo also do sniper teams like mine, including other non-winter duos. 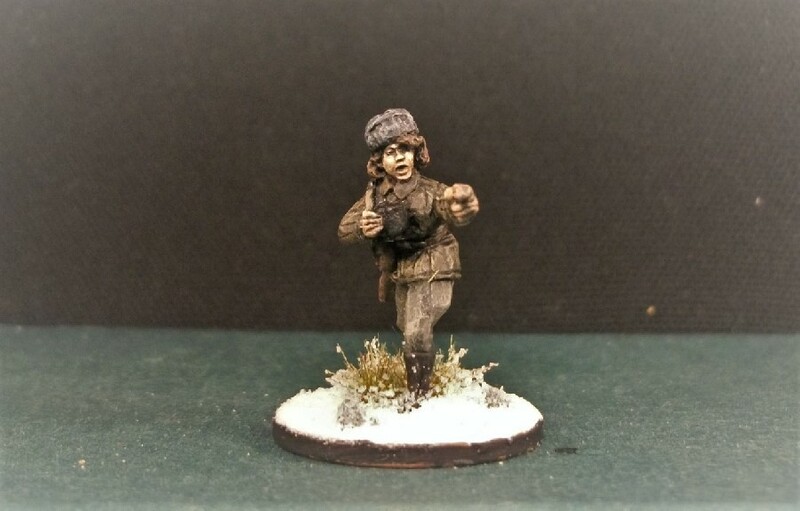 Coincidentally, Mark at Man of Tin blog has been tackling Bad Squiddo’s female soviet command set for FEMbruary too, whilst also setting himself a FEMbruary challenge read that resonates perfectly with my sniper women figures – The Unwomanly Face of War, an oral history of Russian women in WW2. The two figures fit well together, with one lady calling out and pointing, while her comrade stands poised ready to act on her advice. Individually, I like this figure’s face with her hair falling out from under her fur hat. She holds a pair of binoculars by which she has clearly identified a target. I painted the eyeglass parts for these in silver, in a rare use of bright colour. Over her shoulder is a sub-machine gun, which I’ll tentatively identify as a PPSh-41 (aka “pepesha”) with a drum magazine. Lyudmila is depicted holding her weapon as if in readiness to select a target. The rifle could be anything under that wrapping so I’ll randomly call it a Tokarev SVT-40 (aka the “Sveta”), which I know the female soviet sniper Lyudmila Pavlichenko once used. Lyudmila Pavlichenko was the most successful female sniper in history. Her memoirs entitled “Lady Death” have been very recently published in English for the first time by Greenhill Books. A well-educated lady who later became an historian, Pavlichenko was eventually withdrawn from combat because of her growing status. She was subsequently fêted by the allies (touring both the US and Great Britain) as well as being honoured by her mother country. Lyudmila’s SVT-40 rifle appears to be smothered by some covering which may have acted as some sort of sound suppressor, or at the very least I would have thought, camouflage. 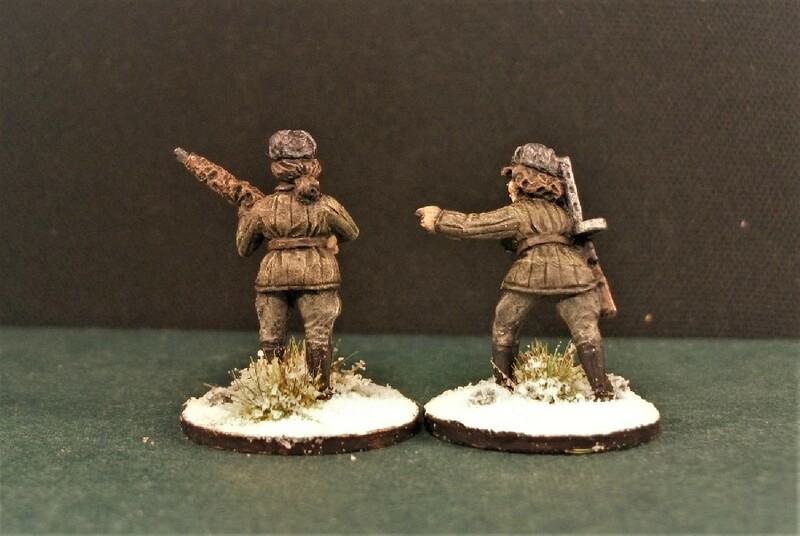 These two sculpts are so good that even a guy not at all used to painting WWII figures, never mind female snipers in 28mm metal, finds himself terribly tempted to build up my collection of these soviet women even more. As I’ve already got a huge army of unpainted figures – I don’t need more temptation, dammit! And with those completed figures, I bow out out of FEMbruary 2019. I must say that I’m very pleased with my submission of figures; the locally made M.J. Mode 54mm Wrens and these fabulously sculpted Bad Squiddo snipers. Imperial Rebel Ork and Man of Tin have been busy also and I urge you to keep an eye out for more updates on Alex at Leadballoony blog for his and other submissions! As the fourth year of Suburban Militarism on WordPress comes to a close and a New Year looms, it’s a time for reflection. 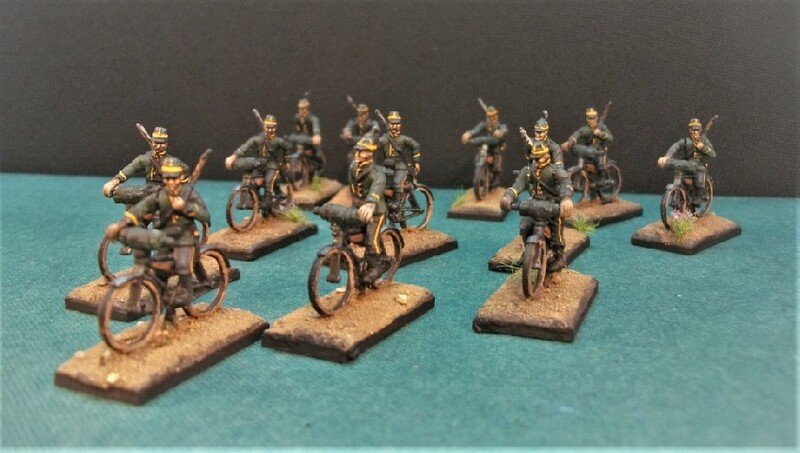 Swedish Napoleonic cavalrymen; Ottoman Turkish artillerymen; Serbian and Austrian infantry of the Great War; Belgian Carabinier cyclists; 28mm Yeomanry figures based on illustrations by Marrion; Saxon Cuirassiers and not forgetting some Napoleonic Poles back in January. So, here’s a brief pictorial overview of some of the figures painted over 2018. 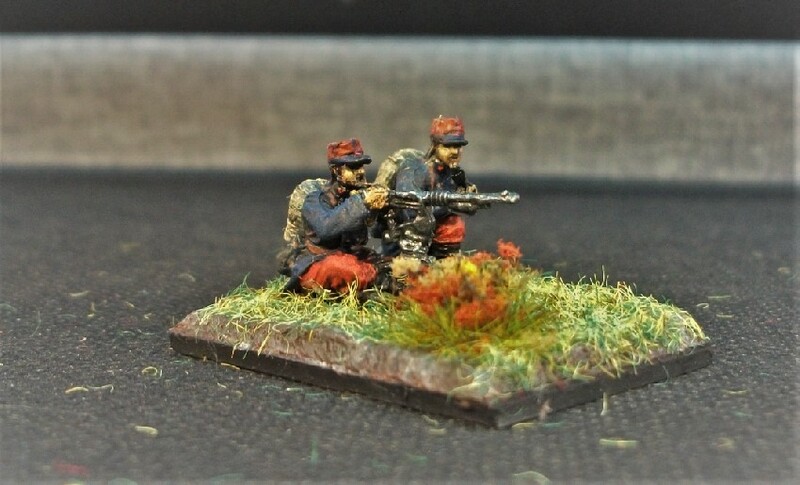 Strelets Polish Napoleonic Infantry, 12th Regiment. 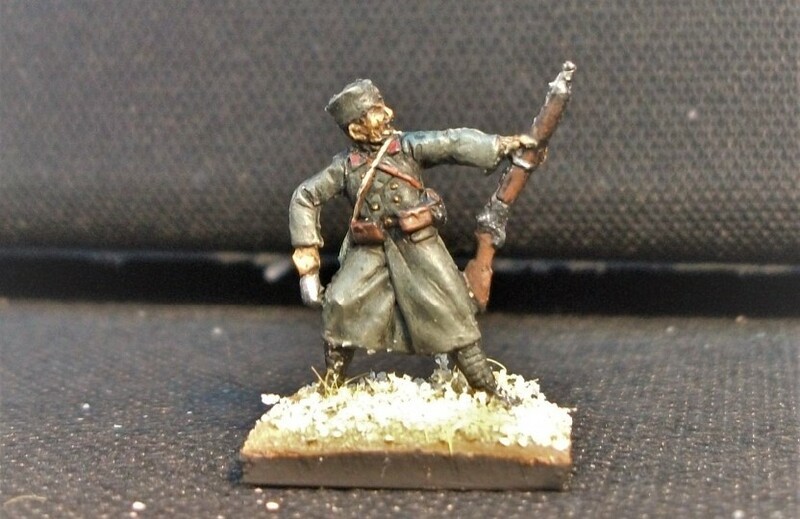 Strelets Polish Napoleonic Infantry, 13th Regiment. 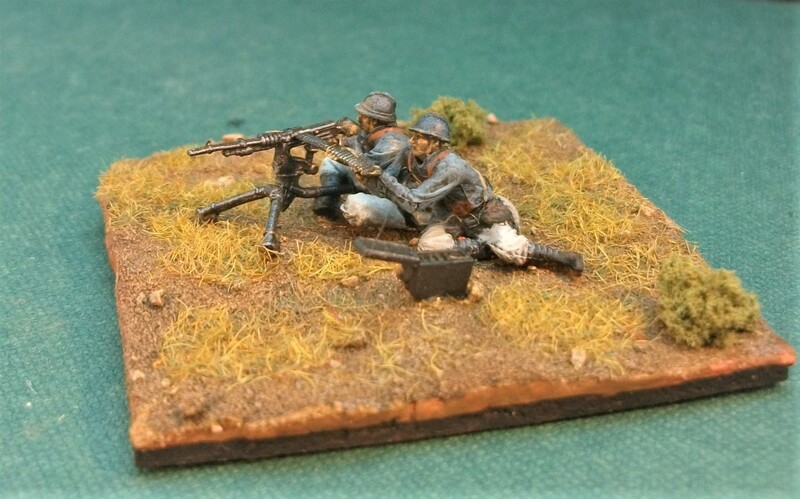 Caesar French WWI Infantry with St. Étienne machine gun. 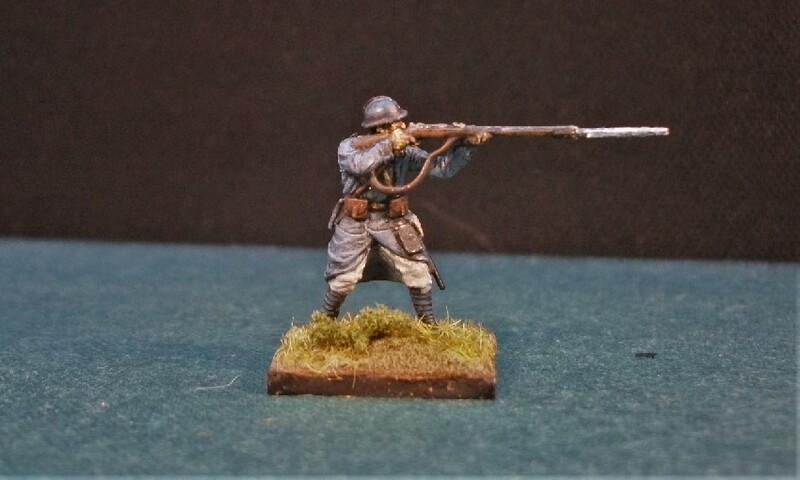 Pegasus WWI Infantry (1917) with Hotchkiss machine gun. Dorset Soldiers, 3rd County of London Yeomanry (Sharpshooters), 1902-07. Dorset Soldiers, Westmorland and Cumberland Yeomanry, 1905-14. Dorset Soldiers, 3rd County of London Yeomanry (Sharpshooters), 1905. Dorset Soldiers, Sussex Imperial Yeomanry, 1905. And of course, there’s the Nappy Cavalry Project which continues proudly into its fifth year being now up to 31 regiments strong! My ever growing pile of unpainted model soldier kits suggests the likely fate of at least some of these hobby intentions, however! Best wishes for a happy and peaceful 2019 to all Suburban Militarism’s friends and visitors! 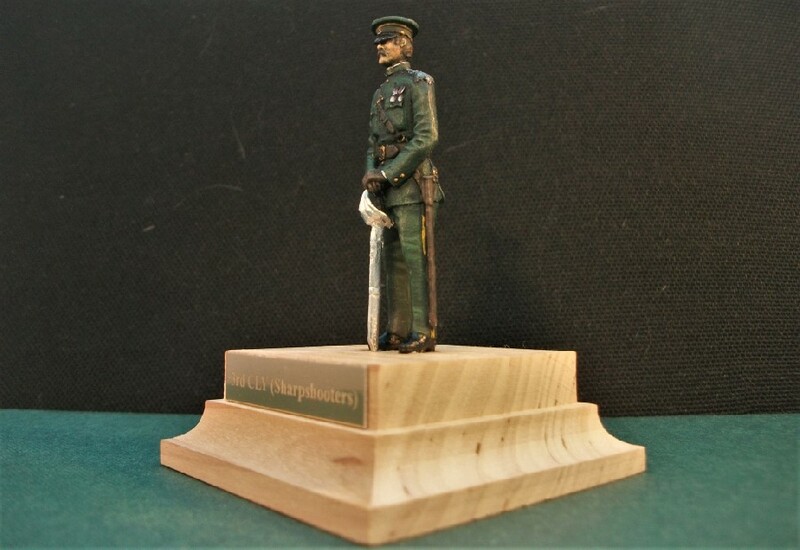 By second group of rifle volunteers, the Robin Hood Rifles, have now been given the plinth and plaque treatment. The final result is pleasing enough, but I’ve struggled a little to get the rifleman’s green uniform to my satisfaction. My first attempt looked fine enough but the highlights were too bold and made the uniform look far lighter in shade than it would have been. The next attempt is the one you see now. The highlights are more subtle but the shade of green isn’t quite to my satisfaction, although I maintain it looks closer to the original versions seen in the museum than appears in these photos. After some deliberation, I’ve reproduced another rifle range scene, given that this is the only location where these volunteer riflemen might be conceivably discharging their Martini-Henrys! I chose some different figures from the Perry Miniatures sprue and /or glued them in different poses to further differentiate them from the Cheshire Greys. This has allowed me to depict a sergeant making a suggestion to his officer, gesturing to men in the firing line. The officer, meanwhile, is using his field glasses to observe the hits (or misses) on the targets some 300 yards away. 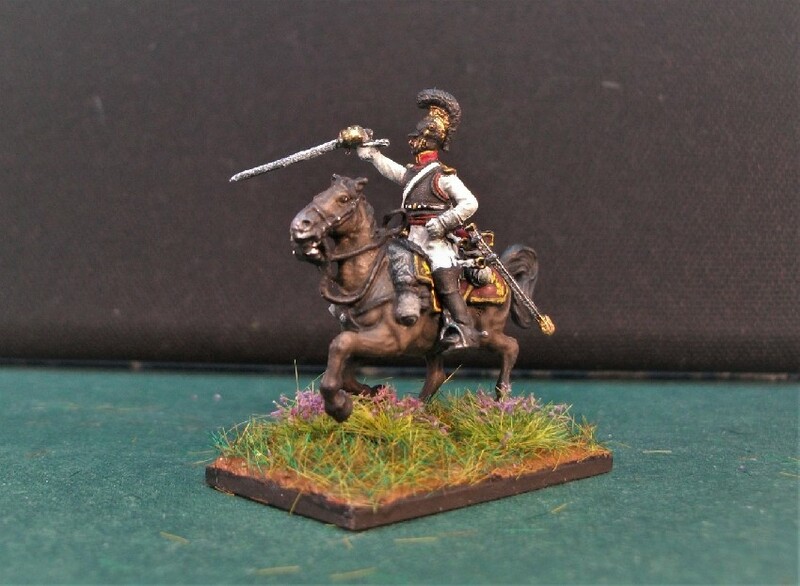 The 19th Hussars began life as the 1st Bengal European Light Cavalry in 1858, having been raised by the East India Company in response to the Indian Mutiny. Very soon after, they were absorbed into the British army and became a regiment of the crown. Now designated as the 19th Hussars, they became the acknowledged successor regiment to the original 19th Light Dragoons which had been disbanded back in 1821. During the 1880s, the 18th Hussars fought in campaigns in Egypt and the Sudan, including the battles of Tel-el-Kebir, Abu Klea and El Teb. The 19th later found themselves fighting in the Anglo-Boer War of 1899-1902, most notably at the Siege of Ladysmith. At the conclusion of their service in the Boer War, the regiment formally became known as the 19th (Alexandra, Princess of Wales’s Own) Hussars (after the wife of Prince Edward). A fine watercolour of a hussar of the 19th. Artist unknown to me. So, why the history lesson? 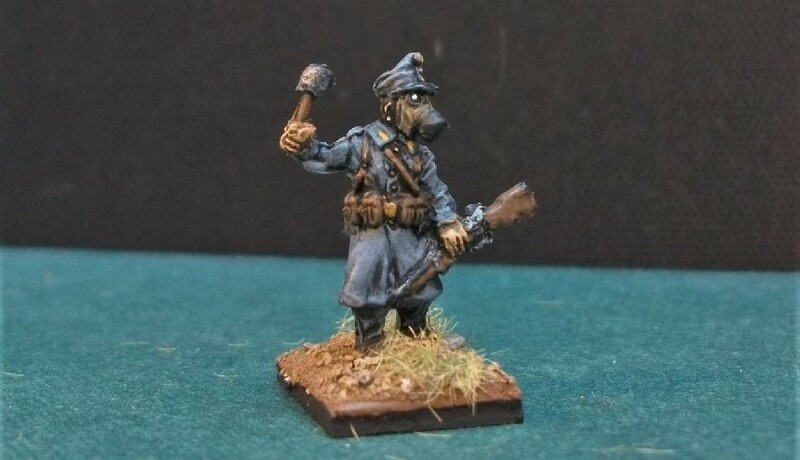 Because my next figures will represent this regiment. 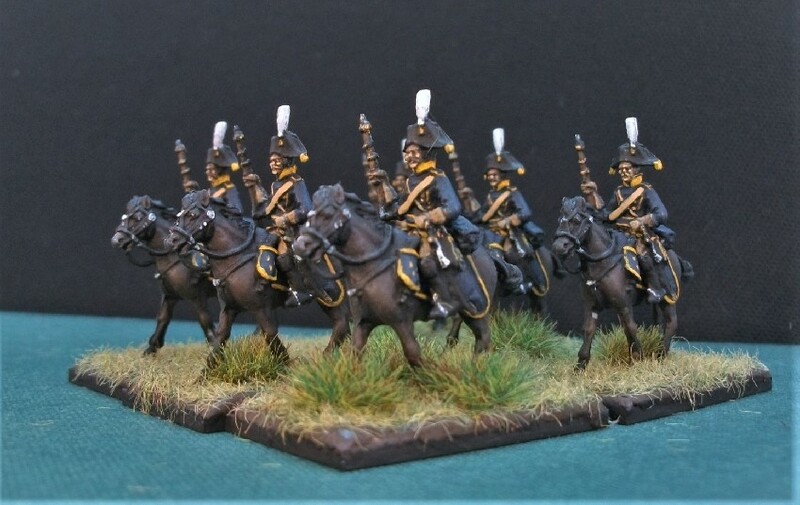 Having a lifelong interest in the Victorian army, it is in this re-formed Victorian-era guise that I’m intending to paint the 19th Hussars. 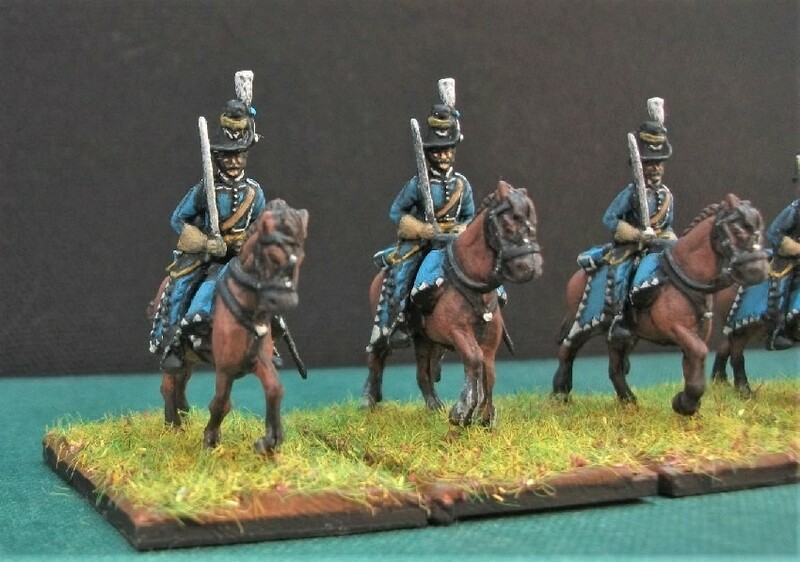 In a return to 28mm scale, I’m using Perry Miniatures British Hussars from their excellent “British Intervention Force” series set in the 1860s. 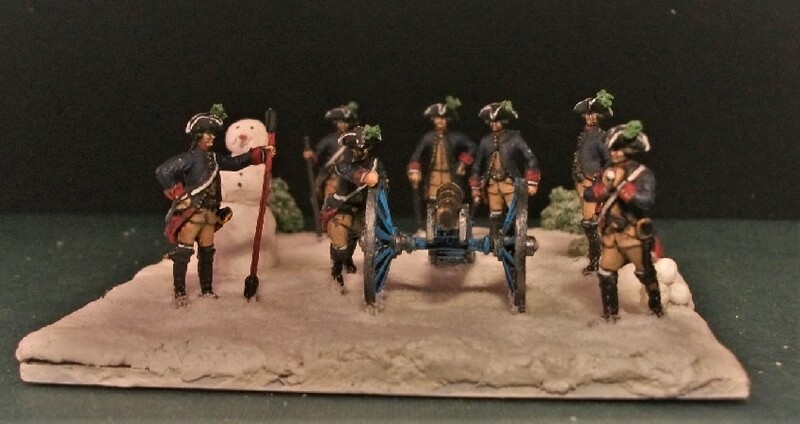 Inspiration for a choice of regiment to paint originally came from some examples of Richard Simkin’s depiction of the regiment found in my collection. I’m delighted to announce some rather exciting news regarding my figures. 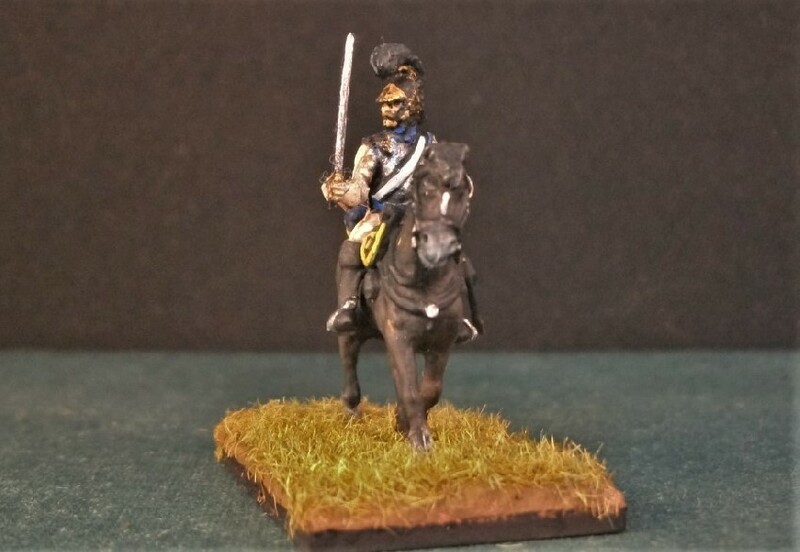 Having recently painted the Warwickshire Yeomanry figures, I hit upon an idea. 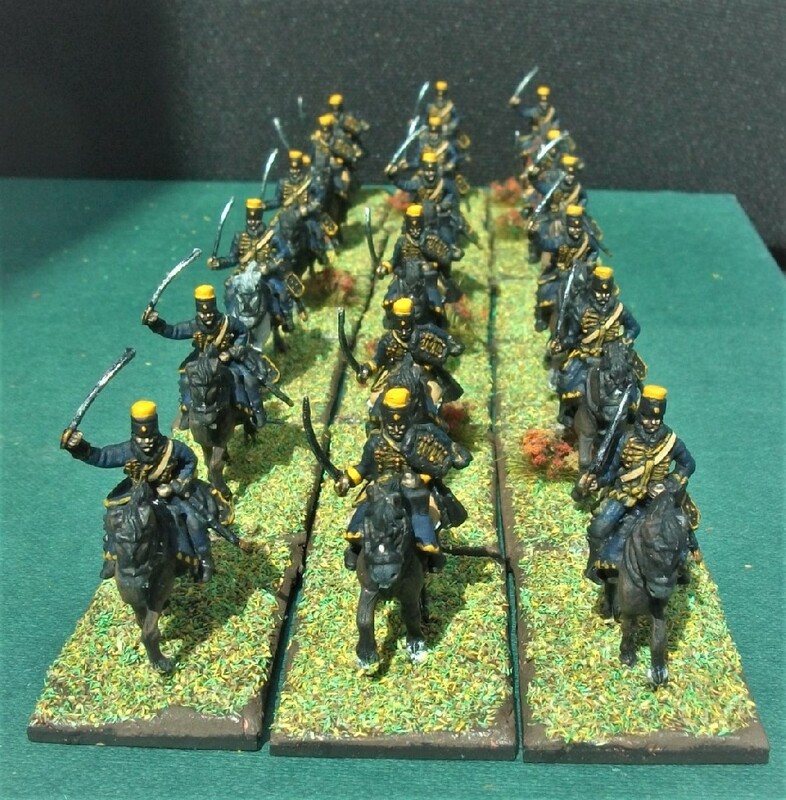 Recalling from a previous visit that the Warwickshire Yeomanry Museum had a very impressive collection of model soldiers, I wondered whether they might be interested in my own humble efforts (using figures by Perry Miniatures) at depicting the early incarnation of its regiment . Earlier today, I revisited the museum in Warwick where Trustee Mr Philip Wilson graciously accepted them as an acquisition to be displayed on permanent loan! 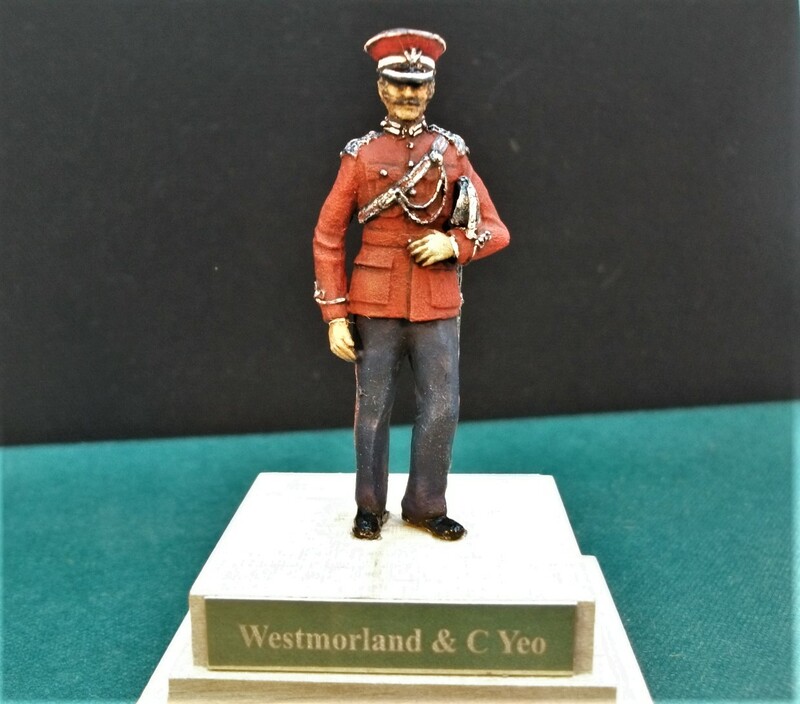 I’m especially pleased that these figures will be on display here at this venue because in my opinion the Warwickshire Yeomanry Museum is especially good. It is a provincial regimental Museum staffed and supported by volunteers only. These volunteers bring not only great enthusiasm, but an extensive knowledge and understanding of the regiment and its history, and this is reflected in the high quality of the displays and exhibits. Great exhibits and fascinating artefacts (not to say great model soldiers), abound. For this fan of military art, the museum seems especially blessed with great paintings, prints, caricatures and other illustrations. I saw a number of originals from which I based the painting of my own figures, including the oil painting of an officer of the 4th Kineton Troop. Many of my favourite artists, such as Simkin and Orlando Norie, are in evidence, but the jewel in the crown is undoubtedly the original painting of the Warwickshire and Worcestershire Yeomanry’s glorious charge at Huj by the famed Lady Butler . Lady Butler’s “Charge of the Warwickshire and Worcestershire Yeomanry at Huj”. All of this (now including my painted figures of course), is accomodated in a splendidly renovated basement of the Court House in Warwick. Temporarily housed in one on the display cabinets, my figures will be soon moved to another cabinet within which is housed an original WYC Tarleton helmet, sabres and ephemera relating to the early period in the regiment’s history. A more suitable place for them in the museum, I couldn’t imagine! The current home for my figures. Whilst signing over my figures into the care of the museum, Mr Wilson kindly showed me facsimiles of beautiful illustrations of the regiment engaged in sword drill. It is gratifying to note that these pictures suggest a type of jacket closer to those on my figures than I had originally thought possible. Facsimile of an original depiction of the regiment’s sword drill. Interestingly, these illustrations suggest a jacket closer to my own figures than I originally thought. 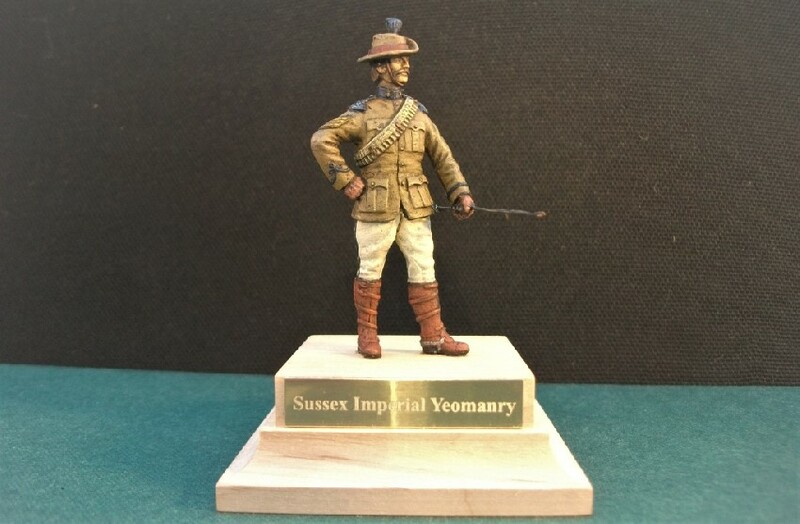 It was also suggested that the Warwickshire Yeomanry Museum’s own website might soon be updated with photos of my figures on display. None of my figures have ever been on any kind of public display before and I don’t mind admitting that I’m very gratified some are now appearing in such a fine museum. Following all the positive testimony I’ve given in this post, I do therefore heartily recommend giving the (free admission!) Warwickshire Yeomanry Museum a visit. You will find knowledgable and friendly staff on hand and, of course, my figures are now on display there! Acquisition form: Proudly signing my figures over to the museum’s collection! I’m learning more about how to paint at the 28mm scale each time I tackle some figures, but I can’t say I’m totally 100% content with these final figures. I’ve had to make a few minor compromises on the uniform shown in the postcard which first inspired them, and the shade of blue in their trousers is darker than I intended. Nevertheless, I think they’re looking okay and make a nice spectacle marching in step. I’m already thinking about my next challeng which will be a return (at long last!) 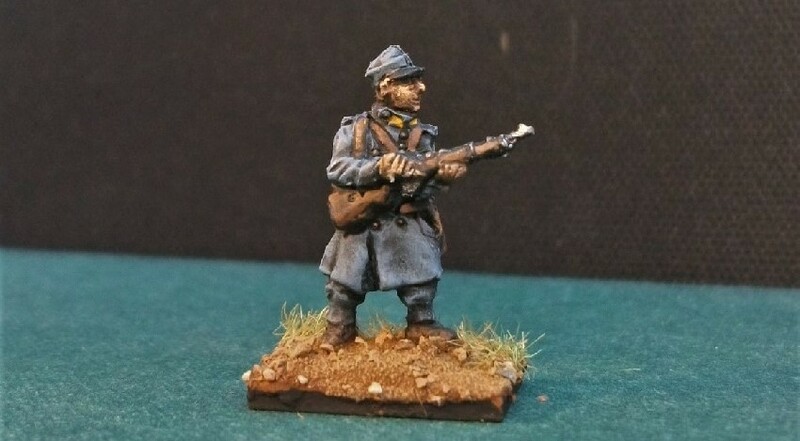 to some of my piles of 1/72 (20mm) figures. I think I may finish off my Quiberon Expedition project, which I began last year after returning from holidaying near to Lymington. It was a visit to the town’s museum which inspired my interest. It’s been a little while since my last post. After the frantic painting activity of my Nappy Cavalry Project last year, it seems like I’m crawling along slowly at the moment. Another way of looking at it is that a) I’m being careful and b), that I’m getting on with other more important things! 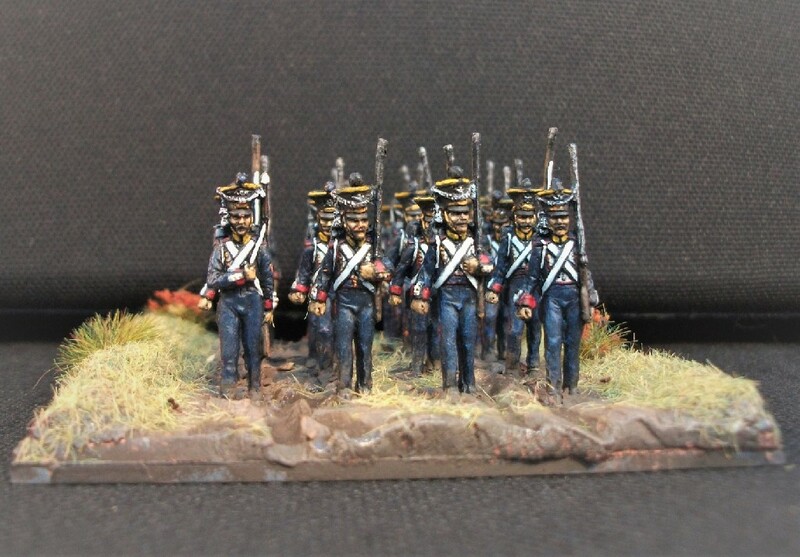 The figures that are taking a little time are a dozen 28mm 1820s British infantry figures by Perry miniatures. They are Carlist War troops but I’m painting mine as the 54th (West Norfolk) Regiment, taking my inspiration from a postcard depicting them on campaign in Burma, 1825. They will take a little while yet to complete and bring them up to some sort of standard but hopefully they should be all done before I go away on my summer holiday in a little less that 2 weeks. Speaking of which, during my time away I am already planning to take the opportunity of visiting another regimental museum to feature in another of my “Suburban Militarism Day Trips”! In the meantime, here is a preview pic of progress being made so far. More detailed photos will be provided when they are finished and I’m hopefully a little happier with them! In progress: 54th (West Norfolk) Regiment, Burma, 1825. 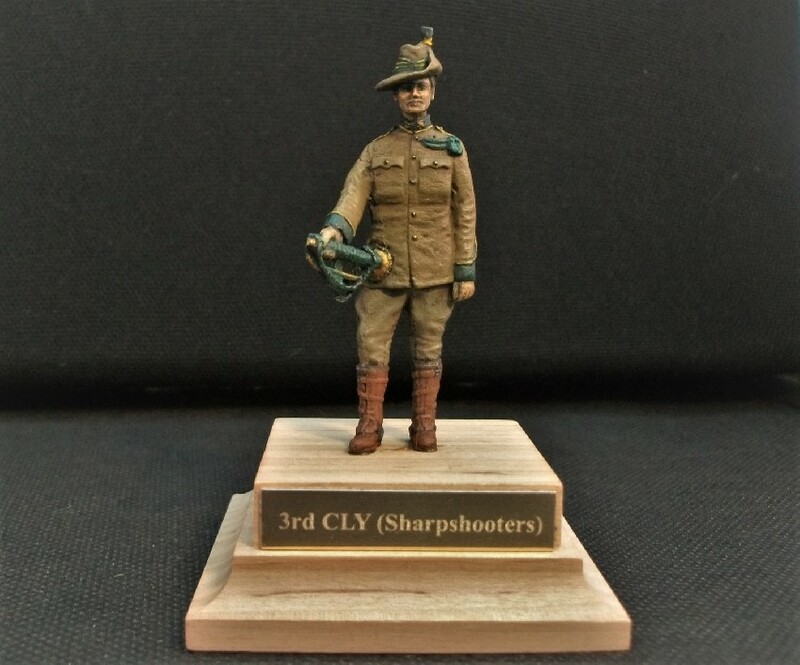 Just a quick post to say a short video montage of my Yeomanry figures has now been uploaded to YouTube which, somewhat astonishingly, I’ve been tech-savvy enough to embed on this blog post below.